Tensile Kevlar cord can be embedded in Polyurethane upon request. 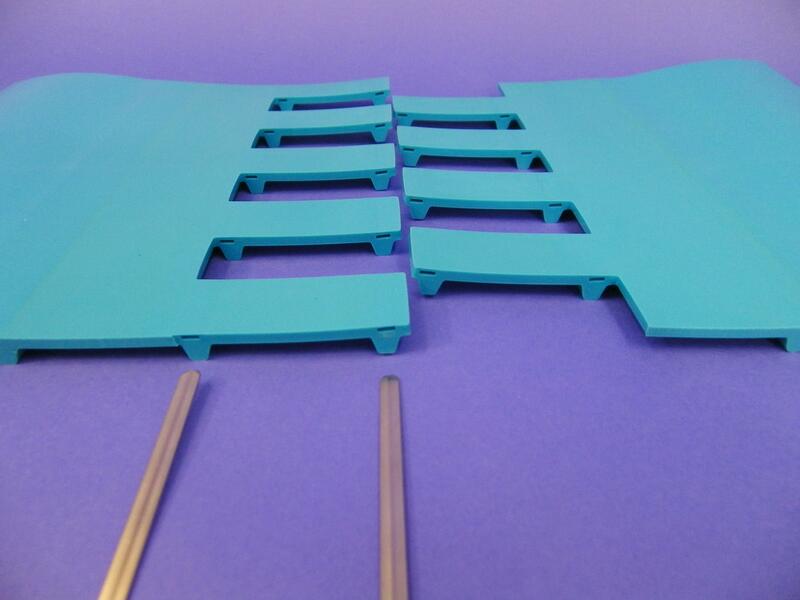 A conveyor belt may be assembled with plastic hinge fasteners but whatever the way of lacing technology, conveyor belts with mechanical system ERO joint® will have a longer lifespan. The ERO Joint® splicing system limits also the microbial growth compared with fasteners. Compared with the ERO Joint®, the PosiLace™ splice is not compatible with scrapers. Furthermore, the ERO Joint® eliminates belt stretch in the splice zone. Conveyor belts may be welded on site by using a hot press in accordance with the splicing and welding procedure. For that, you need to buy a hot press or pay a maintenance intervention.